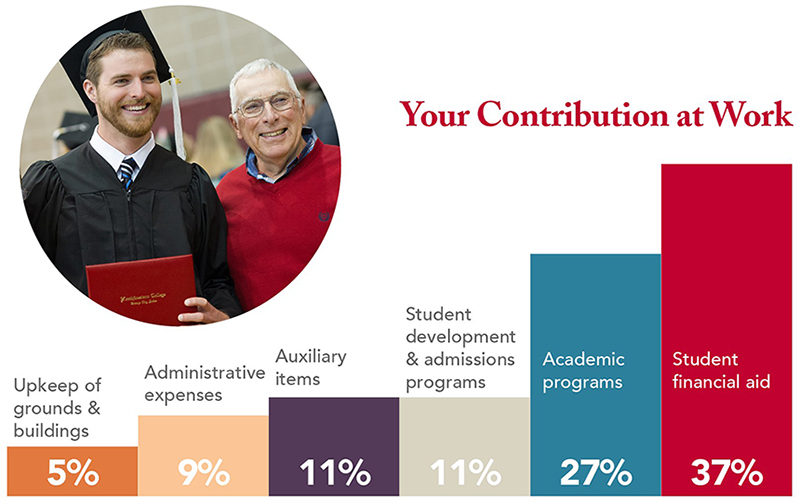 Gifts to the Northwestern Fund help cover the college’s operational costs, which in turn reduces the cost of a Northwestern College education for each student by $1,000 or more per year. Most gifts to the Northwestern Fund are unrestricted. If you contribute at least $1,000 in a year, you are eligible to become a member of the college’s Tower Society and are invited to the college's annual Legacy Celebration Banquet. Twice a year—in the fall and in the spring—Northwestern students call alumni and friends of the college to ask them to support NWC financially. Phonathon calls are also an opportunity for us to let you know what’s happening on campus and to update our records. We hope you’ll be among those who believe enough in the value of a Northwestern education to say “yes” to our student callers. If you know reaching you will be difficult—or you wish to make a gift via credit or debit card—you can give online.